Abeer joined the GFP team in February 2018. 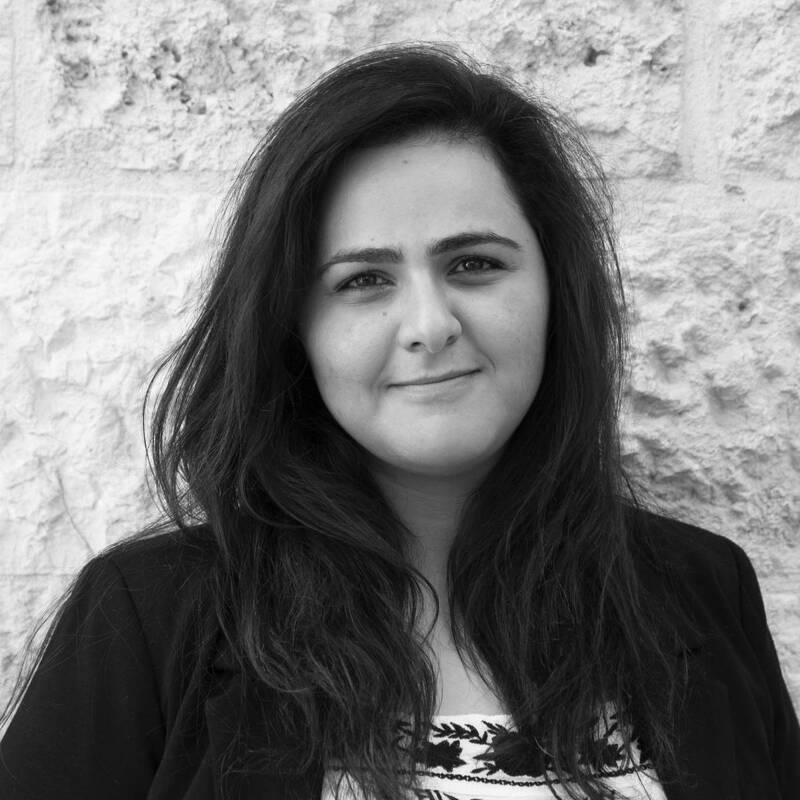 As the senior content specialist, she is responsible for creating and managing GFP’s Arabic content and communication materials, with a focus on GFP’s Arabic blog, articles, local press releases, creative scripts, and human-interest and impact stories. Abeer is a passionate writer who enjoys creating visuals in the minds of readers through her portraits of words. Believing in the inherent power of language, Abeer is excited to communicate GFP’s messages, voices, and thoughts to the Arabic Audience on both a local and international level. Originally from Palestine, Abeer strongly believes in peace building and conflict transformation as important resolutions that help build better lives for those living in high-conflict communities. She has published many articles voicing her own beliefs on such issues, as well as on human rights, social justice, gender equality, and women’s rights. She is also the author of “Scattered Papers,” an Arabic book of poetry and short stories that tackles these social issues.